By far the most impressive team in the first week of action, Team Liquid notched victories over Team Impulse and Counter-Logic Gaming in matches that were rarely in question, despite star free agent acquisition and former world champion ADC Piglet being out due to complications attaining his Visa. Per manager Steve “Liquid” Arhancet, Piglet will be back for week 2, though you’d barely have even noticed his absence. Challenger player Keith McBrief stepped in to try and fill those large shoes, teaming up with Xpecial in the bottom lane, and put on a hell of a show. In their first game against Impulse, Team Liquid built a protect the ADC comp around Keith’s Kog’maw with Janna, Lulu, Nunu, and Gnar, and played it brilliantly. If you didn’t watch this game, do yourself a favor and go do it now, i’ll wait. Back yet? Good. 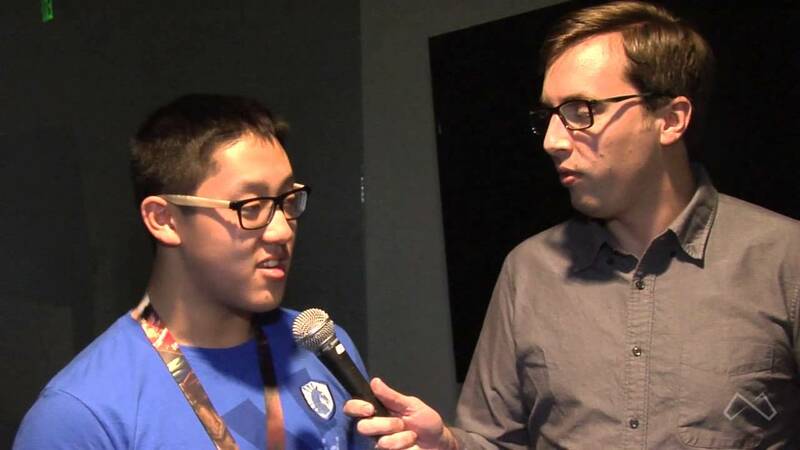 What you just witnessed were North America’s best Gnar, best Nunu, and with all due respect to TSM’s Lustboy, the best Janna as well, all on the same team. This “protect the carry” comp is a look I believe we will see A LOT from Team Liquid this split, backed up by Xpecial’s statements in a post game interview, “Piglet is a mechanical god, we want to showcase that, we will build a lot of comps that focus around the AD…” This game was also our first chance to see fan favorite Voyboy’s replacement in the mid lane, Korean import FeniX, against NA competition. He matched up against, in my opinion, the best performing mid laner during the Season 4 Summer Split, XiaoWeiXiao, and held his own during lane phase, dying once to a Jarvan gank, but proving very useful with the utility god that is Lulu. There isn’t much to say about his performance other than he played well in his role, but their second game would dive deeper into FeniX’s trick bag. So onward we shall go. Game 2 featured a matchup against an ever hyped Counter-Logic Gaming team. I had to go back and watch this game again just to make sure there was no last-minute swap at ADC, with Team Liquid subbing in Jesus Christ himself, because that was the only reasonable explanation for what happened to CLG. If you introduced a friend to competitive league of legends, and told them that one of the game’s biggest stars was an ADC in this game, they would’ve come away convinced his name was Keith McBrief. CLG chose to lane-swap, sending Doublelift and Aphromoo top lane, so the first time we got the chance to see Keith in a real skirmish was around the 17 minute mark, when both teams gather around dragon. His Caitlyn picked up a rather ordinary kill onto Aphromoo’s blitzcrank, then made a highlight reel play, flashing into Blue Golem pit and blind sniping the evading LeBlanc with a piltover peacemaker. Those two kills started a snowball that would end in a bloody mess of CLG corpses and a 9/1/12 stat line. Keith was far from going at it alone, however. He was able to showcase his impressive skills in large part due to the team’s superior coordination and map dominance. The action began quickly, with Xpecial’s Annie picking up a solo kill first-blood on Xmithie’s Rengar invade, and it never got better for Xmithie from there. The next time we see him is a failed attempt at a lane-gank on the bottom side of the map, Link’s LeBlanc attempted to flank through the enemy jungle, and FeniX’s Azir followed down river. Both top laners begin to teleport in, but seeing the fight has already failed, Benny’s Rumble cancels his teleport and remains top, leaving LeBlanc isolated, chased down, and killed, leading to an uncontested first dragon for Team Liquid at 11 minutes, and setting up the aforementioned dragon fight at 17 minutes that was to spark the Keith McBrief show. Soon after, FeniX showed off his impressive Azir play, turning around a 3 man tower dive with a well timed ultimate, surviving, and picking up a double kill that opened the flood gates for a true thrashing of CLG. SHURIMA! FeniX turns the dive around. Team Liquid dictates game flow with superior map movements, their team-fighting is superb, they choose fights on their terms, take objectives, often making it look rather easy. All with barely any practice with a full roster. That’s a scary proposition for the rest of the North American LCS. This team is at the top after the first week because they deserve to be, and in spite of a tough set of games next week against Cloud 9 and TSM, I expect them to remain there, not just next week, but for the rest of the split. The only question for me is, how much will they improve with time to practice and play together? They have the talent, experience, and decisiveness to become one of the best teams North America has ever produced. One that can have eyes at winning not just in North America, but on a world stage. If that sounds a little lofty, well, it’s not called overreaction theater for nothing.